YAOUNDE, Cameroon (AP) — Polls closed in Cameroon Sunday evening and vote counting began in an election that will likely see Africa’s oldest leader win another term amid fighting and threats from separatists that prevented residents in English-speaking regions from voting. President Paul Biya, in office since 1982, vows to end a crisis that has killed more than 400 people in the Central African nation’s Southwest and Northwest territories in more than a year. The fractured opposition has been unable to rally behind a strong challenger to the 85-year-old leader. Voting ended around 6 p.m. local time and results are expected within two weeks. Main opposition Social Democratic Front party candidate Joshua Osih voted in Douala and called for transparency in vote counting. “My wish is that the results of the ballot should not be tampered with. That transparency should be the watchword and that the choice made by the Cameroonian people be respected,” he said. Even as the candidates spoke, violence had already marked the voting. The military killed two armed men in the English-speaking northwest town of Bamenda, according to Governor Deben Tchoffo of the Northwest region. Gun fighting between the military and separatists began Saturday in at least six towns and villages including Nkambe, Mamfe and Kumbo. Several buildings have been burned, including residences where voting material was thought to have been stored. Several armed men had been killed by military in the Southwest region, Governor Bernard Okalia Bilai confirmed. “The wave of attacks will not deter us from doing our job,” said Enow Abrams Egbe, chairman of ELECAM, the election commission. Security has been increased and people should not be afraid to vote, said Cameroon’s territorial administration minister Paul Atanga Nji. The Election Commission and government said they made provisions for displaced voters, but it was not clear people came out amid threats by separatists. Cameroon also battles with Boko Haram extremists in its Far North, where more than more than 230,000 people have been displaced. The election commission said voters lined up at voting stations for displaced persons in the north. More than 200,000 people have been displaced because of violence by both separatists and the military in the English-speaking Northwest and Southwest regions, with many towns simply abandoned. By law, voters can only cast a ballot in the community where they are registered. Election observers, including the African Union, have said they will not be carrying out their work in the troubled southwest and northwest because of the crisis. What began as protests two years ago by teachers and lawyers in the English-speaking regions against what they charged was their marginalization by majority French speakers turned deadly after a government crackdown. The separatists emerged, cheered on by some in Cameroon’s diaspora, including the United States. Then fringe groups became violent, clashing with Cameroon’s security forces that have been a close ally of the U.S. in regional counterterror efforts but face accusations of human rights abuses. Panicked civilians are caught in the middle. 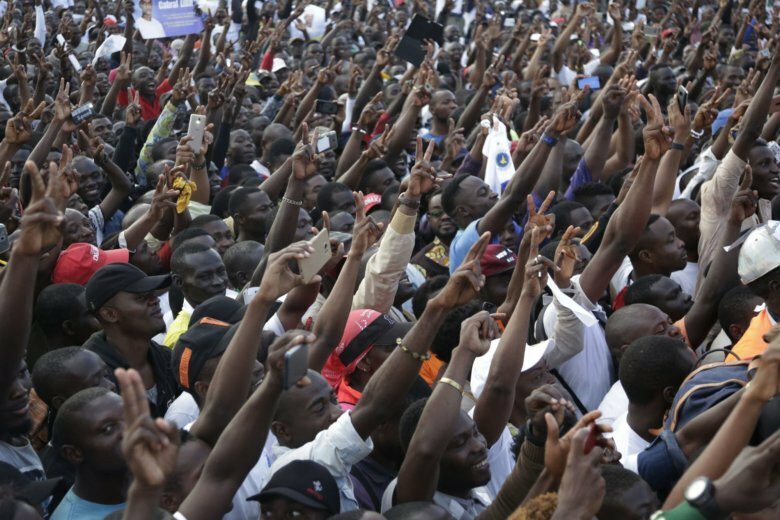 More than 6.6 million people across Cameroon were registered to vote. All voters in the English-speaking regions had to be screened, present voter’s cards and identity cards before they were able to cast their ballots. Numbers were low at the start of the vote Sunday. In the French-speaking regions, however, thousands line up eager to vote. “I have performed my civic duty. It indicates I am a true Cameroonian. I voted for Biya because he is the one who promised to improve the health care system,” said Julienne Ngono, a voter at the Bastos primary school polling center where president Biya will vote. Even if Biya wins, his mandate could be weakened if voter turnout is low in Anglophone regions. AP reporter Carley Petesch in Dakar, Senegal contributed to this report.